Personalized option available during checkout. 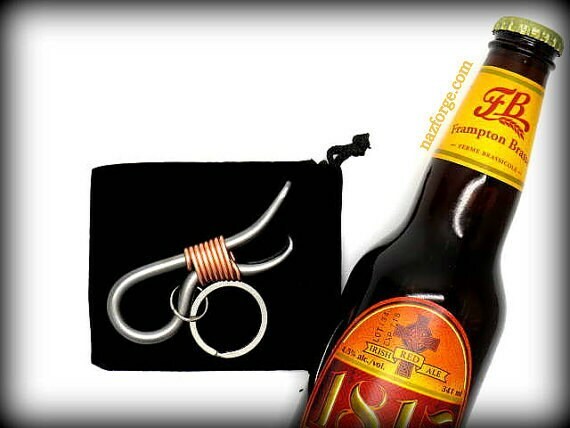 Total lenght of the copper wrapped keychain bottle openers is approximately 3-1/2" (without the keyrings)... The keyrings are included. Each one is made by hand and offer quality and originality that you simply can not get from a machine... Make a statement with your groomsmen for the rest of their lives...Every time they take their keys out or open a cold one, they will be reminded of their friendship with you on your special day. 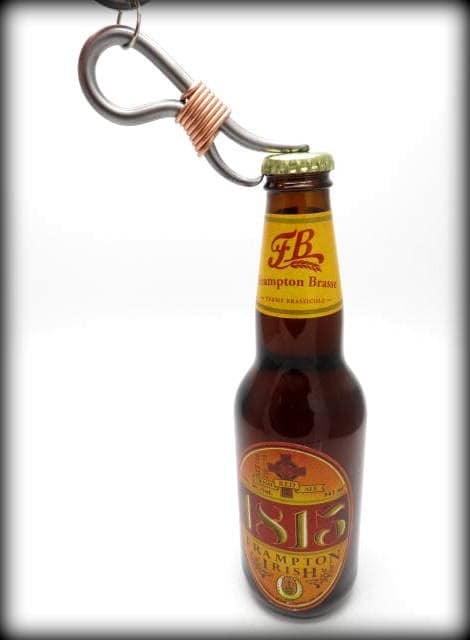 These hand forged keychain bottle openers show off a decorative copper wrap on the handle. I love the mix of iron and copper's natural colors, these useful, fun items put a lot of value on both of those materials. The iron section is forged out of one piece of iron and has been welded together at the touching point for extra strenght (this is so there is no "spring" effect) when opening your favorite beverage. The weld is then hidden with the decorative copper wrap. The perfect gift for your buddies, groomsmen, best man, father, boyfriend, man cave invitation, well... I guess this is a sure bet when it comes to finding an original gift. After cleaning, I clear coat the keychain bottle openers for protection and to keep the raw iron look. 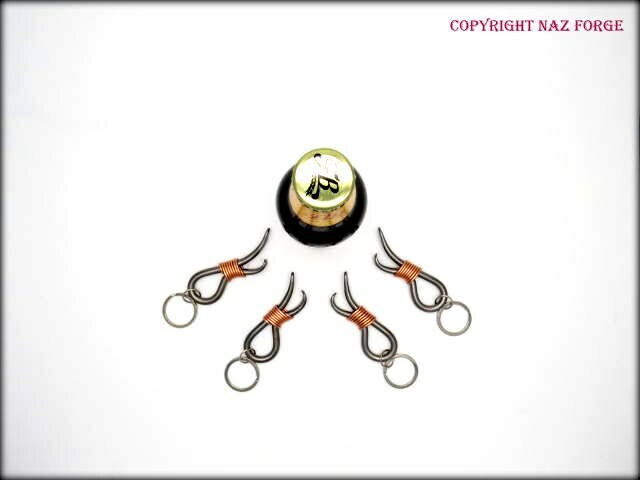 This listing gets you 4 keychain bottle openers, during checkout, you will have to choose between "No personalization" or "Personalized". 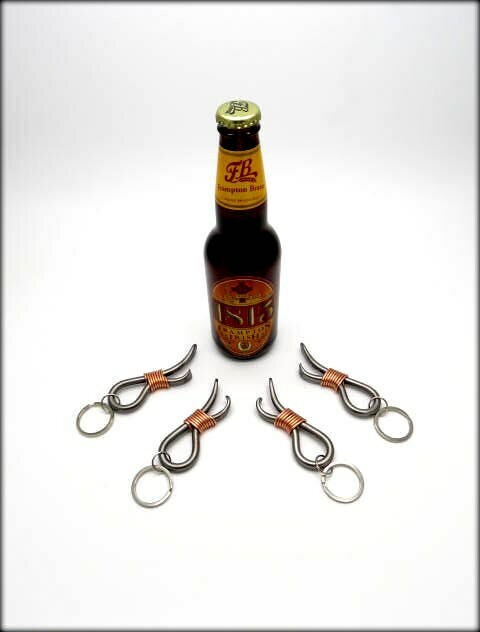 "No personalization" gets you 4 hand forged bottle openers signed with my maker's mark "Naz" to guarantee authenticity. There will be a "note to seller" section during checkout, this is where you can write what you would like to have written on your 4 personalized keychain bottle openers if you choose to have them personalized. If you have any questions or to get an approximate of time delay that will be needed to make your bottle openers, don't hesitate to contact me and I will gladly answer any questions. 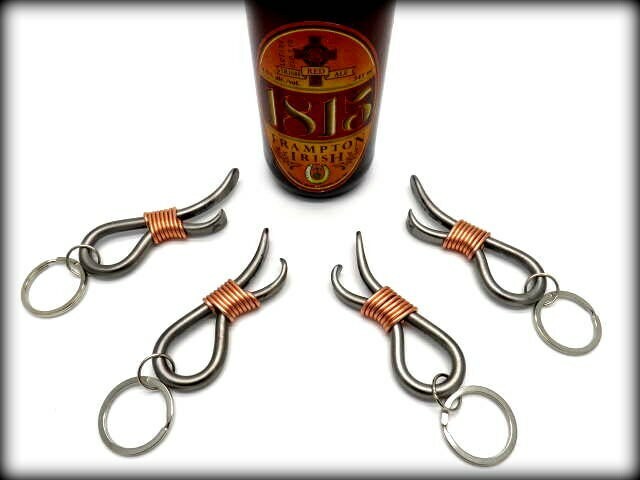 These hand forged keychain bottle openers are made one at a time paying close attention to details and will last a few lifetimes !